​​Bayern Munich are set to complete a deal to sign Major League Soccer (MLS) wonderkid Alphonso Davies, according to reports in America. 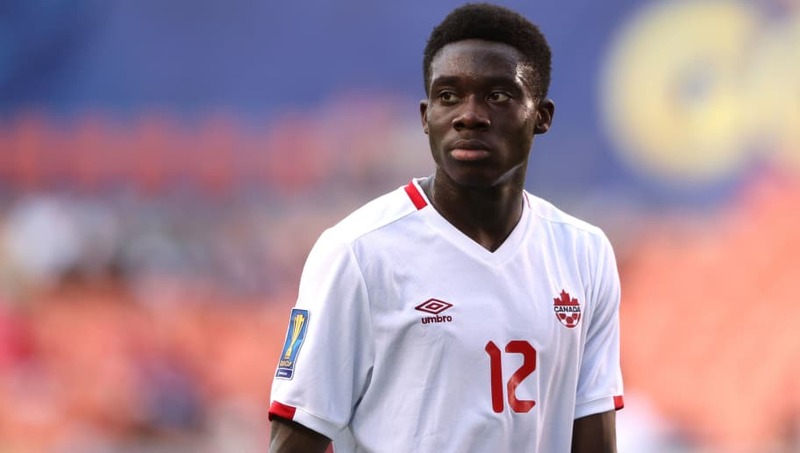 The 17-year-old winger, who plays for the Vancouver Whitecaps, is set to move to Bavaria for a $12m fee, according to US media outlet ​The Athletic. Should the deal go through, it would be a record transfer fee received by any MLS team since its inception in 1996. The ​Bundesliga champions may decide to let Davies remain on loan at the Whitecaps until the end of the season, before bringing him to Germany after his 18th birthday. The winger made his professional MLS debut in 2016, becoming the second youngest player ever to play in the division at the age of 16. He has gone on to represent the Whitecaps 54 times in America's top flight, and has found the net three times for his current club. Davies has also been recognised on the international stage, having been capped six times by Canada. Perhaps his finest career moment so far was representing his country at the Gold Cup twelve months ago, where won the tournament's Golden Boot. That tournament performance put him on the radar of various Premier League clubs, including ​Manchester United, ​Chelsea and ​Liverpool, but it appears Bayern Munich have won the race to sign the coveted 17-year-old. Davies' transfer is set to smash the record for the highest transfer fee received by an American team. The record was previously held by defender Matt Miazga, who moved from the New York Red Bulls to Chelsea for a $4.5m fee in January 2016.